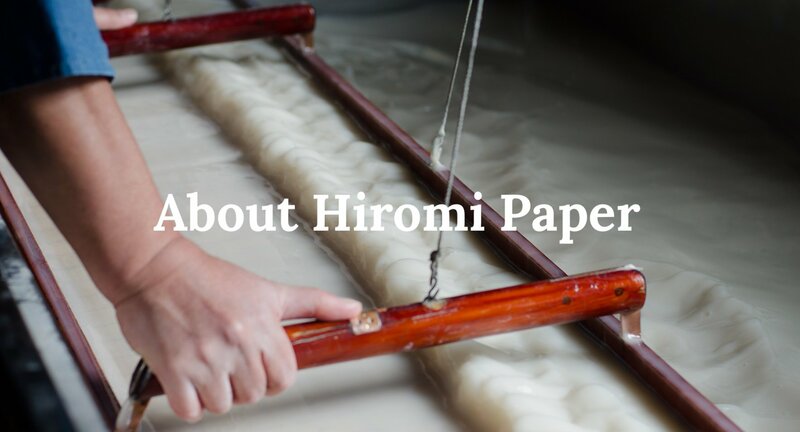 About Us – Hiromi Paper, Inc.
Hiromi Paper, Inc. is devoted to the creation of a greater rapport between Japanese papermakers, printmakers, artists, conservators, designers and bookmakers, while developing new directions and a deeper understanding of Japanese papers or WASHI. With this in mind we are pleased to provide our customers with the highest quality papers at competitive prices. Our inventory includes papers from throughout all of Japan. We have a very close working relationship with many papermakers and are therefore in the unique position to offer custom made papers suitable for the individual project needs of our customers. We encourage you to visit our showroom in Culver City, decorated with an artwork by LA artist Kenny Scharf! Since 1988, we have continued to expand our selection and offer the largest variety of Japanese papers outside of Japan while honoring Hiromi’s vision of accessibility to the finest Japanese papers and products. Besides having a myriad of fine art papers, Hiromi Paper also offers papers used for conservation, decoration, stationery, digital printing, printmaking, origami, and anything else you can imagine. Check our ONLINE STORE for our vast selection and prices. If you have any questions or ideas please feel free to contact us!